For a century and a half, the School Sisters of Notre Dame have served SS. Peter and Paul Parish in Huntington. 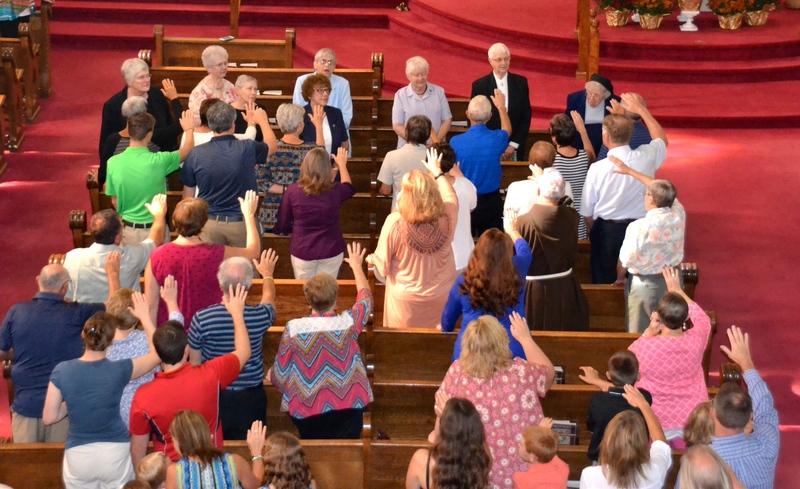 On Sunday, Sept. 16, the parish celebrated that legacy with a Mass and a reception in the sisters’ honor. The sisters’ presence in Huntington will come to an end in November with the retirements of Sister Miriam Therese Gill and Sister Loretta Bauer. The parish, likewise, won’t forget the sisters, said Father Tony Steinacker, pastor of SS. Peter and Paul. “How do you summarize 150 years of our presence in this wonderful community?” asked Sister Phyllis Marie, who spoke on behalf of the sisters. The anniversary, she said, is “a time for gratitude and appreciation to all that has transpired in 150 years. Also representing the order at the celebration were Sister Miriam Therese and Sister Loretta, who are currently serving the parish; Sister Margaret Ann Murawski and Sister Jan Gregorcich, who previously taught at the parish school; Sister Colleen Bauer, who grew up in Huntington; Sister Miriam Thomas Kessens; and Patricia Tocco, SSND associate. 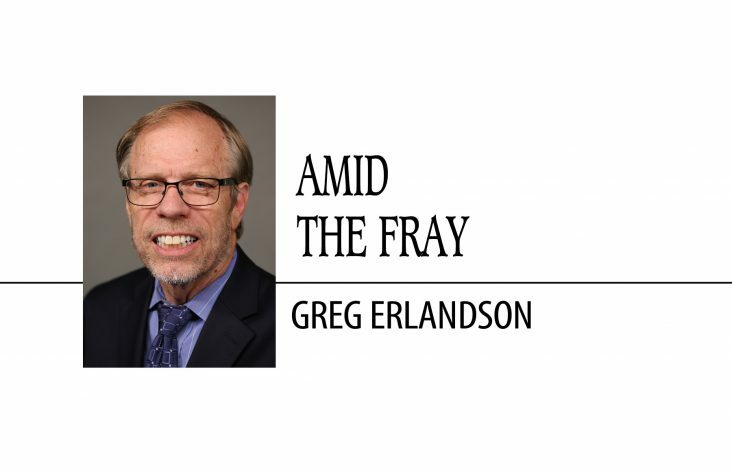 “As I looked at the list of sisters who were missioned here through the years, I counted the names and there were 174 unique women who, with God’s help and your unending support, lived out their vocation call here at SS. Peter and Paul in Huntington,” Sister Phyllis Marie said. The reception followed a Mass celebrated by Father Steinacker. He was assisted by Father Perry McDonald, who served as pastor of SS. Peter and Paul from 1979 to 1984. The blessings began when the first trio of sisters arrived in Huntington on Aug. 18, 1868, at the request of the parish priest, providing spiritual and academic instruction to 136 students that first year in a two-room schoolhouse. “It took many pains to teach the children to bend the knee, to pray and to walk in ranks,” reads an 1869 entry in the sisters’ chronicle, a record of their day-to-day activities that began with their arrival and continues to this day. Many of the chronicle entries over the years center on the weather, trips to meetings and retreats, the comings and goings of sisters, and visits from friends and family members; but occasional entries reveal more personal observations. 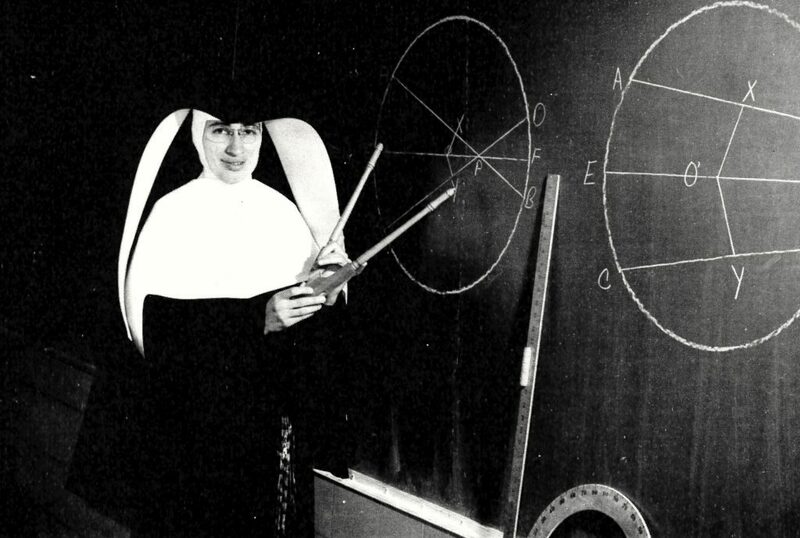 Sister M. Ara Coeli, SSND, teaches a math class in this photo taken from the 1961 Huntington Catholic High School yearbook. She taught Algebra I, geometry and English I. 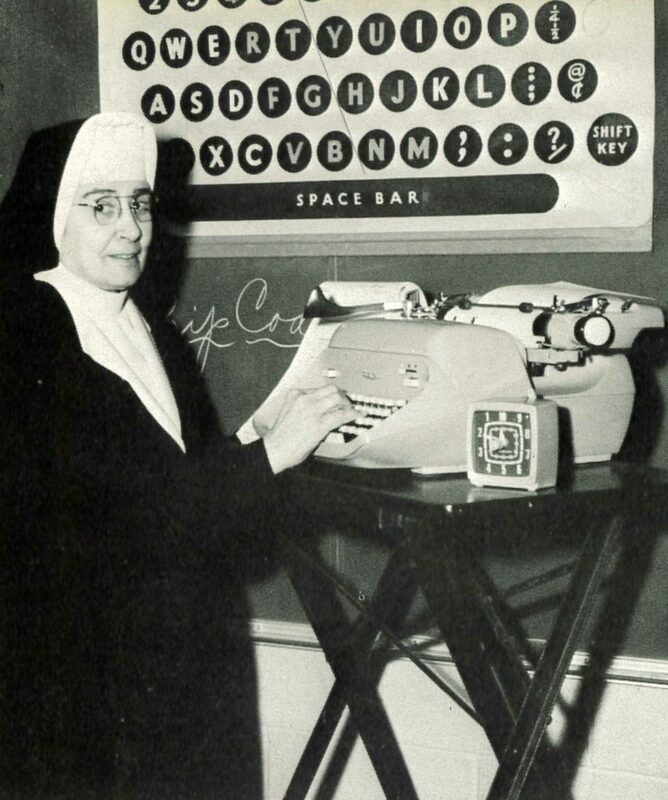 Sister M. Magdala, SSND, demonstrates proper typing technique in this photo taken from the 1968 Huntington Catholic High School yearbook. In addition to typing, she taught shorthand and bookkeeping. 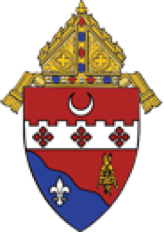 After Bishop John Henry Luers visited in 1870 to administer the sacrament of confirmation, the chronicle notes, “The bishop is no friend of unbecoming clothing. 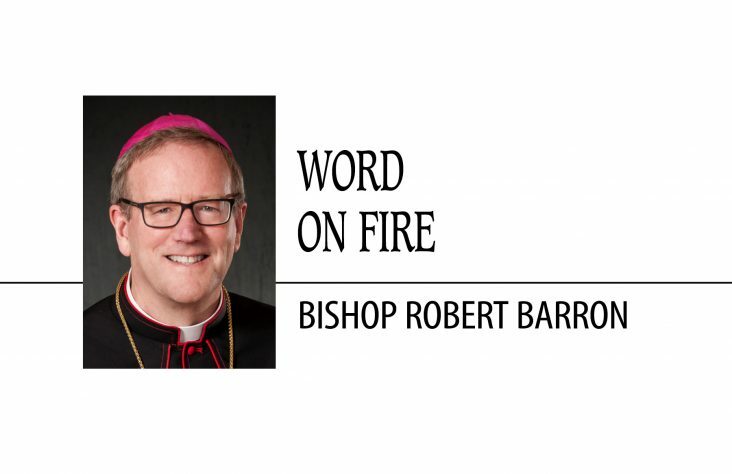 He doesn’t like low-necked dresses and will not tolerate them.” The chronicle gives no indication of which unfortunate girl provoked the bishop’s displeasure. In 1873, the parish started construction of a three-story building that would serve both as a school and a convent. The log building that had previously served as church and then convent was dismantled, with the lumber used to build a house north of Huntington. The sisters moved out of the convent/school building, which was demolished to make way for a new school building, in 1921. They purchased a home a block away from the school. The chronicle records the day, almost a year after the sisters moved in, when their new home was heavily damaged by fire. Flames broke out on Aug. 30, 1922, while they were at Mass. The same day, three more sisters were on their way to their new assignments in Huntington. The sisters made their home in two temporary dwellings until their convent was once again made habitable, returning there on Oct. 23, 1922. The new school opened in February 1923. 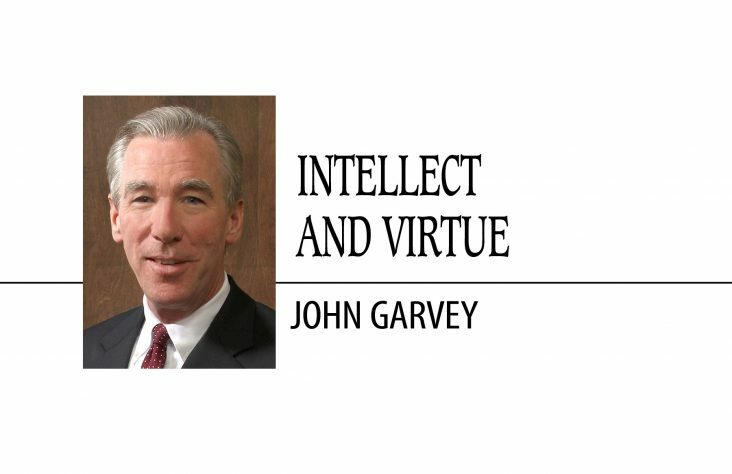 “With sighs of relief and a fervent ‘Deo Gratias’ the sisters once again resumed their ordinary routine of living in their own home and teaching in a classroom that permitted them to breathe God’s air freely,” the chronicle notes. When the two Catholic parishes in Huntington joined forces in 1936-37 to open Huntington Catholic High School, SSND sisters helped staff it. They moved into a new convent adjacent to the school in 1951. It initially provided a home for nine sisters who taught at the local parish school, and also served as a regional meeting place. Members of the School Sisters of Notre Dame and lay teachers at SS. Peter and Paul Grade School and Huntington Catholic High School gathered for this photo in the spring of 1965. 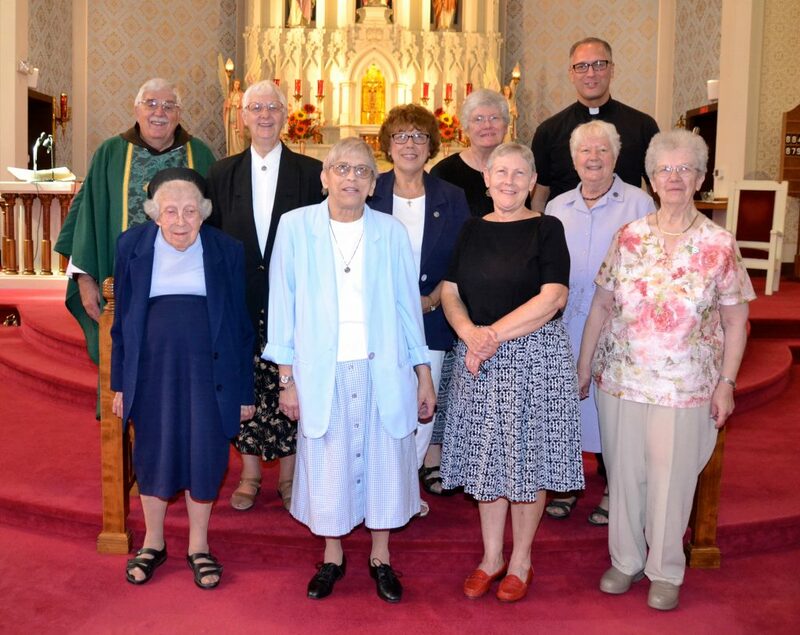 They are, in the front row from left, Mrs. Kramer, Sister Lucinia Zender, Sister Raymond Schulte, Sister Theodora Stromberg, Sister Clara Foldenauer, Sister Francis Louise Krapp and Susan Marie Wittke; and in the back row, Rose Vebert, Sister Patricia Ann Mehling, Sister Denis Marie Kuehn, Sister Francis Regis Arens, Sister Ara Celi Stoll, Sister Susan Marie Curtin and Sister Louis Marie Kozminski. Sister Phyllis Marie, just 20 and not even out of college when she was sent to Huntington, was charged with teaching fourth-grade reading and math in the mornings and starting a music program in the high school in the afternoons. “We were still in the traditional habit, so that helped me with discipline,” she says with a laugh. But those were the days after Vatican II, which gave rise to changes within the sisters’ religious order — including the modification of the traditional habit and full veil. A woman in town took the sisters’ old habits and remade them into black skirts and blouses, Sister Phyllis Marie recalled. And a student, she added, gave her a heads up on the black nylons she was still wearing with the shorter skirt. “Apparently, black nylons had some kind of double meaning at that time,” she said. In addition to a new look, the sisters also adopted new names — new, at least, to their students. Sister Phyllis Marie had previously been known as Sister Marie Stefan; a co-worker, Sister Stanella, also resumed using her given name, Margaret Ann Murawski. Sister Margaret Ann spent seven years in Huntington, leaving in 1972. She had been sent to teach math in seventh and eighth grades, along with math and Spanish in the high school, but picked up a range of varied responsibilities. She taught art for a while, ran the mission program, helped with the school play, helped build floats and, unexpectedly, ran an athletic program for female students. Sister Phyllis Marie, too, expanded her abilities. With support from several other sisters, she helped the students put on several musicals, even though she had no idea how to block scenes. Huntington Catholic High School closed its doors in 1985, the same year SS. Peter and Paul and St. Mary parishes agreed to merge their grade schools. 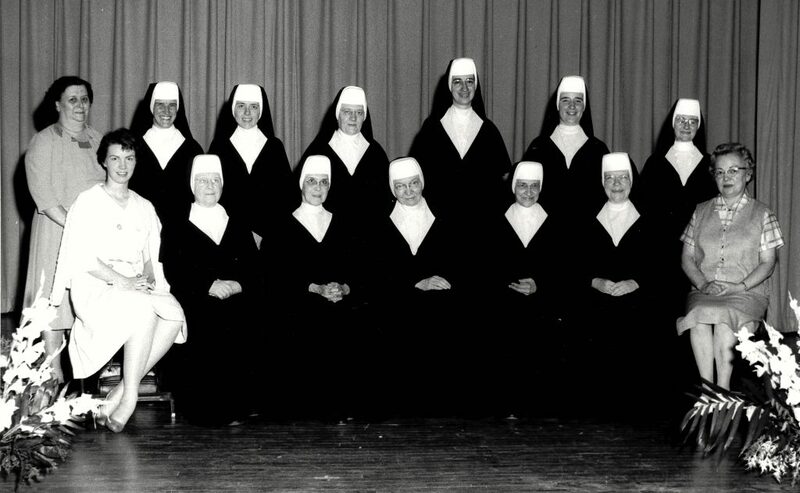 Members of the School Sisters of Notre Dame continued to help staff the jointly operated grade school, known as Huntington Catholic School, until the close of the school year in 1989. The last resident of the convent, Sister Rose Helene Miller, moved out on June 21, 1989. Two more sisters came after them, but they did not serve as teachers. Sister Miriam Therese began serving SS. Peter and Paul Parish in 1990, and Sister Loretta joined her in 1999. Both live not in the convent, but in a small house across from the church. Sister Miriam Therese served as director of religious education, while Sister Loretta filled the role of pastoral assistant. Sister Miriam Therese, a Huntington native, was taught by her predecessors — she attended SS. Peter and Paul Grade School and, when Huntington Catholic High School opened the year she entered ninth grade, completed her education there. One of the last SSND sisters to serve SS. Peter and Paul, she has a connection to those first sisters — members of her family lived in the house that had been built of lumber from that first log church. Sister Loretta, who grew up in Logansport, came to Huntington to close out a career that included 28 years at Mount Mary College in Milwaukee, Wisconsin, where she played double bass in a student folk music group — also to be closer to family. Sister Miriam Therese and Sister Loretta have announced plans to retire in November of this year, leaving Huntington for the SSND retirement community in Elm Grove, Wisconsin.